Ideal for attaching pre-treated fabric to, by ironing. Acts as a carrier sheet while printing, easy to peel off after printing. 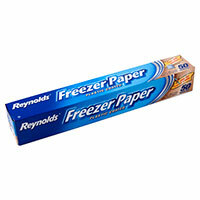 Freezer Paper also has many other craft and textile uses.